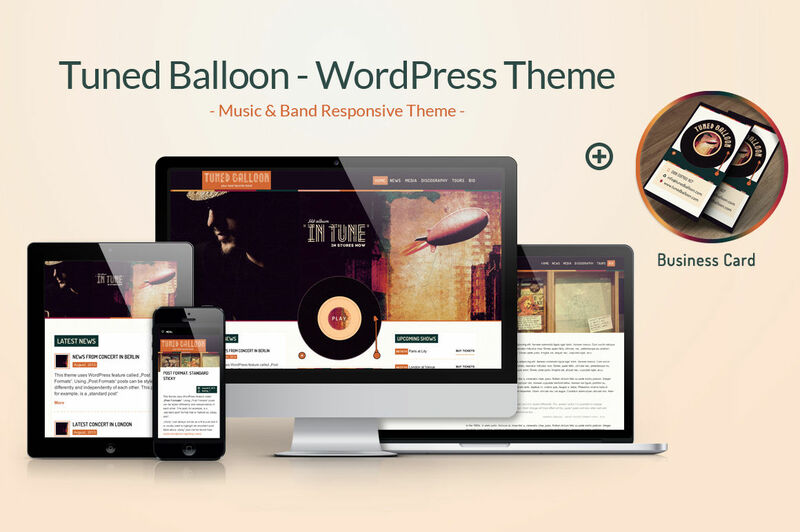 Tuned Balloon – Simple To Use Music And Band WordPress Theme. 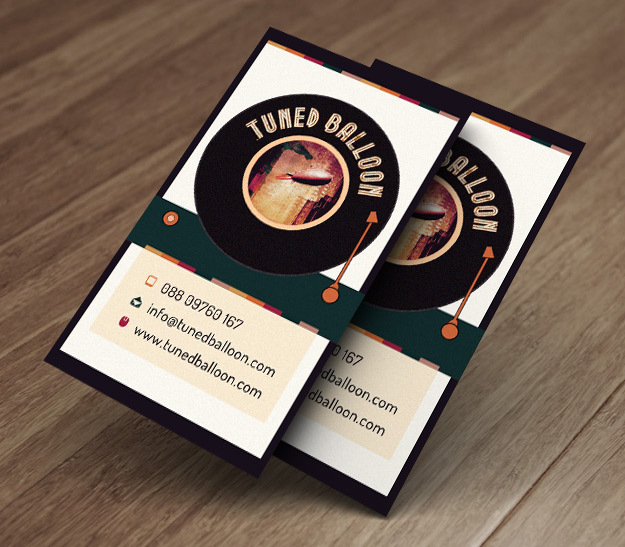 With this theme you’ll get stylish business card as a bonus to also improve your offline presence. - amazing premium Soliloquy slider pack now included with all premium Anariel Design WP themes. Find out more! - child theme support – child theme is a theme that inherits the functionality of another theme, called the parent theme, and allows you to modify, or add to, the functionality of that parent theme. * NOTE – use of Child Themes is for advanced users and not covered by support. Tuned Balloon features “Jetpack” plugin for WordPress that supercharge your website with the features so far only available for WordPress.com. It is styled to go good with the WooCommerce plugin which is used also in the live preview. Post Formats – This theme uses WordPress feature called “Post Formats”. Using “Post Formats” posts can be styled differently and independently of each other. If you want to make your blog post more flexible you can use different kinds of post formats such as image, gallery, video, aside, link or quotes. Introducing WordPress Theme Customizer – the Theme Customization screen (i.e. “Theme Customizer”) allows site admins to tweak a theme’s settings and see a preview of those changes in real time. Tuned Balloon has implemented this option with the theme and added some useful options. You’ll be able to upload your image logo or to change the site title and tagline, change colors, upload background image, change header image and more. Tuned Balloon is compatible with Major Browsers, Smartphones and Tablet’s. It is based on Skeleton grid and elegantly scales down to downsized browser windows, tablets, mobile phones (in landscape and portrait). Just resize the browser window to see it in action! PSD files for home player (made by Anariel Design) and social icons included. Beautiful illsutration can be bougth on Creative Market, they are made by Pune Design https://creativemarket.com/punedesign/5659-Vintage-PosterFlyer. Images from live preview aren’t included with the theme, instead you get images made by Anariel Design! !